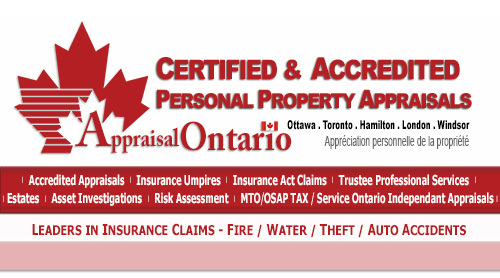 AppraisalOntario.com can provide Certified Canadian Personal Property Appraisals for Ontario TRUSTEES and for Individuals and or companies that have or considered filing for Bankruptcy in Ontario Canada. We are not Trustees, please contact your lawyer or Trustee for more information and direction. 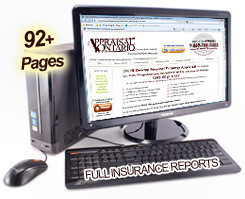 Sample Question : My wife and I are looking at the possibility of filing for bankruptcy. We live in a rural area with two children. Currently my wife drives an older car and I use an 11 year old motorcycle to get to work. Neither have loans or leans against them. Would we be able to keep both vehicles? Sample Answer : The rule in Ontario is each person who goes bankrupt is permitted to keep one motor vehicle, if there are no liens or loans against it, worth up to $5,650.00. So, if your wife owns the car and you own the motorcycle, and each are worth less than $5,650, then yes, you could keep both vehicles in a bankruptcy. However, if you (or your wife) own both vehicles, then only one vehicle is exempt. All Appraisals are in compliance with the standards and ethics as set forth in the Canadian Personal Property Appraisal Group.